As if Kona needed another reason to be special…we have Manta Rays! The Kona Coast has a resident population of over 100 manta rays (Manta alfredi), many of which visit a specific local dive site on most nights to feed. Bright lights put in the water attract plankton and the manta rays come to feast! Divers sit on the rocky bottom while snorkelers float flat on the surface, leaving the water column open to the barrel-roll feeding pattern typical of most mantas. It truly is like an underwater ballet that will create a memory like no other. Each night we provide a detailed briefing about the manta rays including information on their behaviors and the dive or snorkel itself, but to learn more information about our amazing manta rays before your trip, visit http://www.mantarayshawaii.com/index.html. This dive does not require a special certification past Open Water. In fact, for many divers this is their first night dive! Due to the amount of light in the water and due to the detailed briefing you’ll receive from the Kona Diving Company dive crew before entering the water, it’s a great first night dive experience! We also provide a well trained in-water snorkel guide for our snorkeling guests so no one in the water at night is unattended at any time. During a 2-tank manta ray night dive trip (our most popular manta ray charter), you’ll do your first dive (or snorkel) during the late afternoon before sunset. We typically do this first dive (or snorkel) in the same location as the manta dive and often see mantas before the end of dive one! The second dive (the manta dive) takes place after sunset once our under water lights have had a chance to start accumulating plankton. 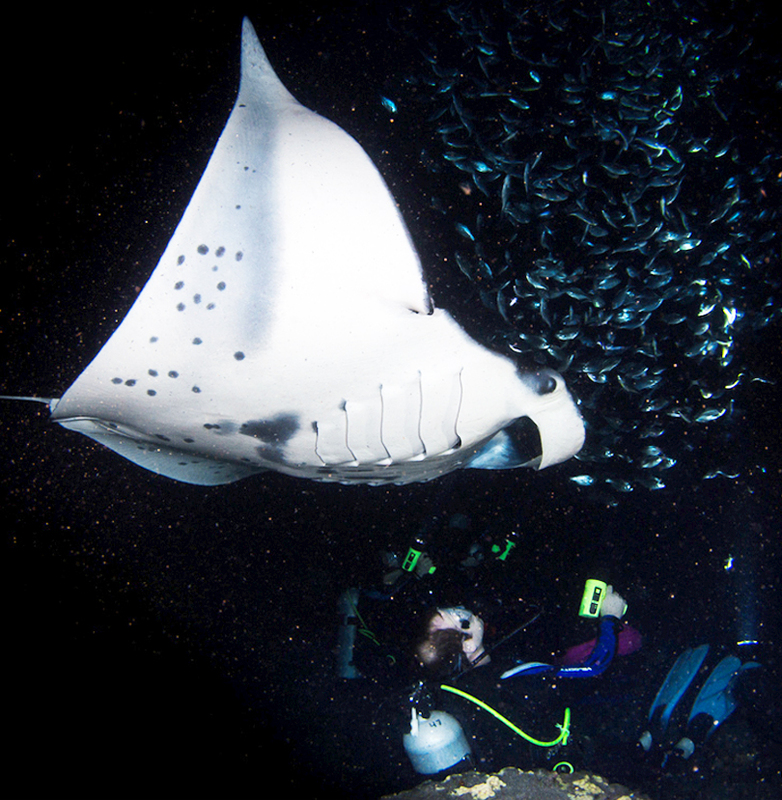 A 1-tank manta ray night dive trip involves only the manta dive (or snorkel) and is recommended for people with considerable or very recent dive experience. The timing of these excursions is based on sunset. Departure and return times vary throughout the year. While we see at least one manta ray on around 90% of our manta ray night dives, bear in mind that manta rays are wild animals and their appearance is subject to the whims and wilds of Mother Nature. 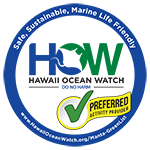 Kona Diving Company is proud to be a Green List operator through Manta Ray Advocates of Hawaii and an active member of HOW. Read more about HOW and what it means to experience this extraordinary activity with an operator that has the experience, knowledge and dedication required to be a HOW preferred activity provider.